Long ago, just after retiring, I went to be a beach-bum in Mexico. I thought that would be nice after working like a fool for tooo many tears! One afternoon, having been surfing most of the day, I went to have a nice cool beer. The pub was not very busy at the time, so I just might of had more than one? Anyhow, as I watched the sun set in to the water(Sea of Cortez), I thought it might be nice to sail my little day-sailor over to San Felipe, on the Baja. 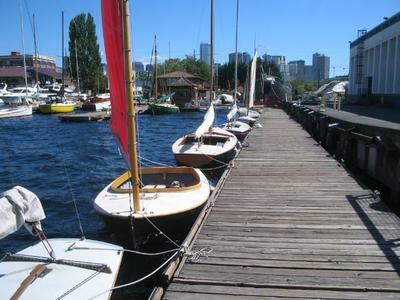 We used to race our winter series there, when I was with the Hobie Fleet. Franks Restaurant, has a wonderful fish and shrimp dinner and it sounded like a nice trip for that reason. I thought for a while, and figured 2 days over, and 2 days back? That would be if the wind holds up. I got up the next day, and the wind was howling like mad, big waves. But I was able to get my very small sailboat off the beach and only took on about 30 buckets of water. So it didn't take me all that long to bail most of it out. I did have to bail a bit later, because of the very big waves that kept coming over the front, but it didn't slow the boat down very much! But I was able to make the trip over in just one day! I need to shorten this story up a bit! Well, after 4 1/2 months, I got back to the mainland! Not saying, I made it all the way to Cobo, sailed across, to the mainland, then up the coast home. The crazy thing is, I left with $150, 4 1/2 months later, I still had a bit over $75 in my pocket, Figure that would you! It will be very hard to beat that trip, hence the title. PS. I am writing a book about that trip. It should be a lot of pages! Just might take me a few years, because I sail most of the time, and only get to write some nights, when I have a very nice cove to anchor in over-night. Comments for My best trip ever! I have had the pleasure of sailing with Tony on a couple of occasions and I am looking forward to more opportunities in the future. Give him a boat of any kind and he will sail it anywhere. He is the ultimate sailor! Join in and write your own page! It's easy to do. How? 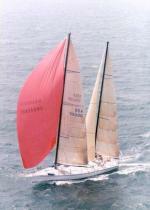 Simply click here to return to Sailing Stories and Articles.